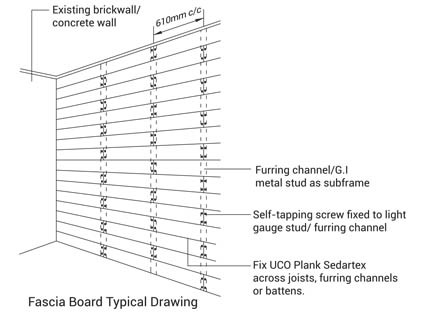 UCO Plank is an autoclaved cellulose fibre cement plank. It is an asbestos free and available in two surface finishes, permanent woodgrain and smooth textures. Versatile in application, cutting down on construction time and cost. Accept a variety of surface finishes and suitable for all paint coatings. When fixing UCO Plank use nails for timber frames or screws for metal frames. The Planks are to be overlapped with minimum recommended lap of 25mm. 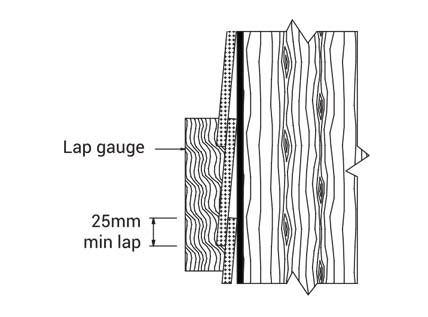 For ease of use, fabricate lap gauges from timber. In using Metal Stud Clips, they are simply positioned along the top of the Planks and fixed directly to studs through the top leg of the clip, thereby allowing lateral movement of the Planks. The Metal Stud Clips are designed to give a Plank overlap of 25mm. Fix UCO Plank onto each batten with 2.8mm x 40mm galvanized wire nail. 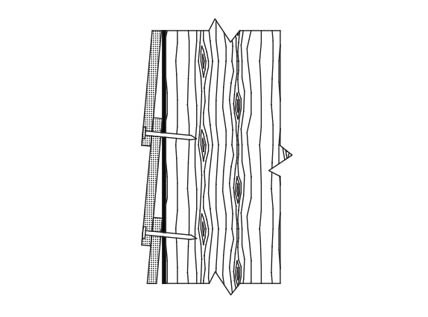 Nail must be secured through both thicknesses of Planks, as shown. Nail head may be driven flush with the Plank surface. When using Metal Stud Clips, position clips at each batten and fix with galvanized wire nails through the hole in the top leg as shown. Planks are screw fixed to light gauge steel frame 8/18mm x 25mm of 1.2mm nominal thickness with self-embedding head, ‘Wing Teks’ screws. Fix Planks at each stud by driving screws through the top Planks only immediately above the lap as shown. Self-embedding head screws should be driven flush with the Plank face. Do not over-drive. 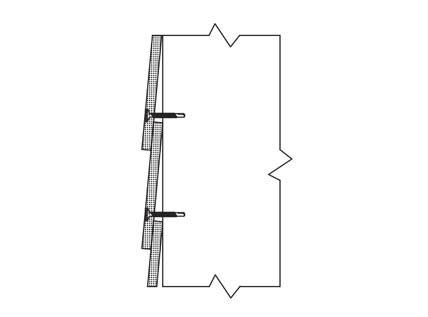 When using Metal Stud Clips, fix clips to metal frames at each batten with short, 5mm diameter hex. head Teks screws or similar. Extreme care must be taken to drive screws as close as possible to the corners of the studs to avoid deflection of the stud flange. 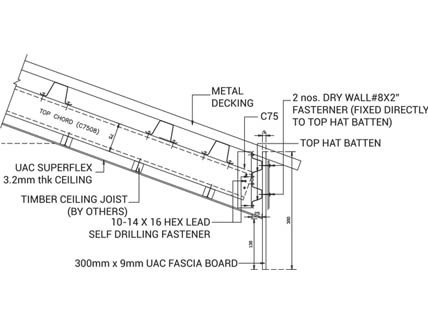 UCO Plank is installed horizontally onto the frame, Recommended spacing between screws is maximum 610mm c/c. For timber, fix with timber screws or galvanized wire nails. For metal framing, fix with a self- drilling, countersunk head screw. Screw positions should be at least 12mm from the board edges and 20mm from the ends. 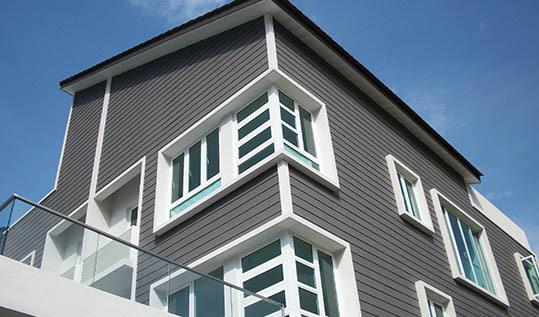 When installing in an overlapping plank cladding style, plank installation must start at the bottom frame. The subsequent row of plank should overlap previous row by at least 25mm. Plank ends are cut flush with corner battens and fitted with aluminium metal corners. 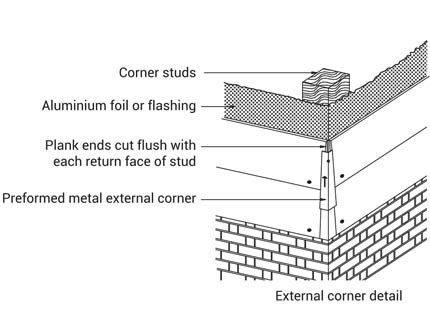 Alternatively, 50mm x 25mm sawn timber stops may be fixed at all external corners and 25mm x 25mm stops at internal corners. 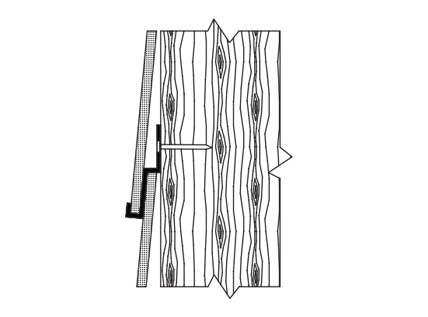 When cutting Planks around window or door openings, 5mm nominal clearance must be provided at the jamb, head and sill. UCO Plank courses should be set out as near to a full Plank as possible under a window. 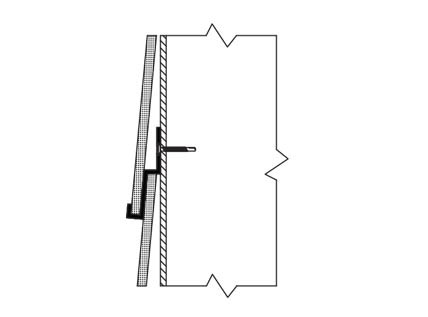 Where a Plank has been reduced in width, provide an uPVC Jointers at one end of the window or door openings. Where window and door opening exceed 1800mm width, and in all cases on steel frames, provide a uPVC Jointers above and below the four corners. Install 7.5mm thick x 230mm wide UCO Plank asbestos free cellulose fibre cement board fixed onto pressure treated grade ‘B’ timber framing vertically spaced at 610mm centres maximum. The planks are to be overlapped with minimum recommended lap of 25mm, as per manufacturer’s instruction. 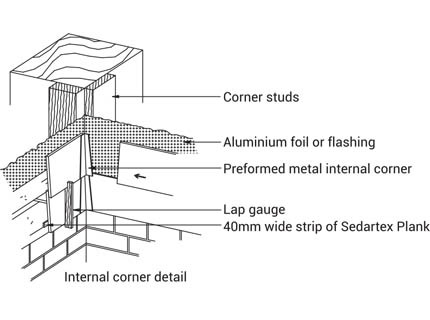 Install 7.5mm thick x 230mm wide UCO Plank asbestos free cellulose fibre cement board fixed onto 1.2mm nominal thickness steel framing vertically spaced at 610mm centres maximum using 4mm x 35mm self-embedding head, “Wing Teks” screw. 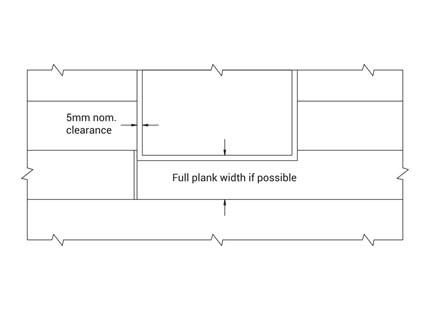 The planks are to be overlapped with minimum recommended lap of 25mm, as per manufacturer’s instruction.